Those who get ahead in this century will be those who dance with uncertainty and find danger, rather than comfort, in the status quo. 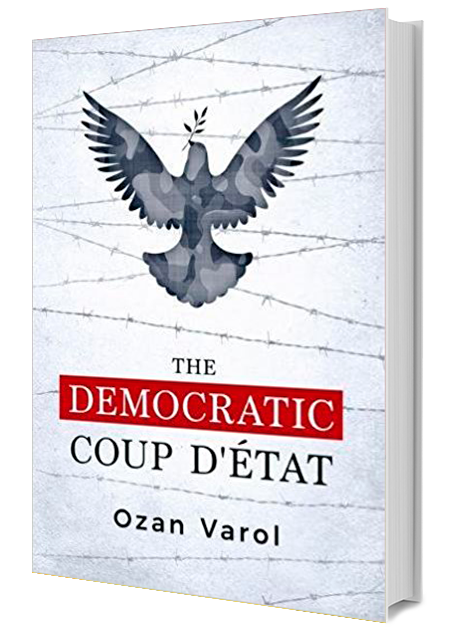 Ozan O. Varol is a rocket scientist turned award-winning law professor and author. He was born and raised in Istanbul, Turkey, and came to the United States to attend Cornell University, where he served on the operations team for the 2003 Mars Exploration Rovers mission. Varol received his law degree from the University of Iowa College of Law, where he graduated first in his class. He is currently a tenured law professor at Lewis & Clark Law School in Portland, Oregon. Sometimes constraints breed creativity, says rocket scientist turned award-winning law professor Ozan Varol. A tool called “Occam’s razor” can help us all stop overthinking and discover the best solution, says law professor Ozan Varol. Email and social media are killing your productivity, says law professor Ozan Varol. Here’s what to focus on instead. Stories, not data, are what stick in our minds, says Ozan Varol. And when those stories happen to be untrue, people get hooked on fake news. Sign up for Ozan Varol newsletter, and more.